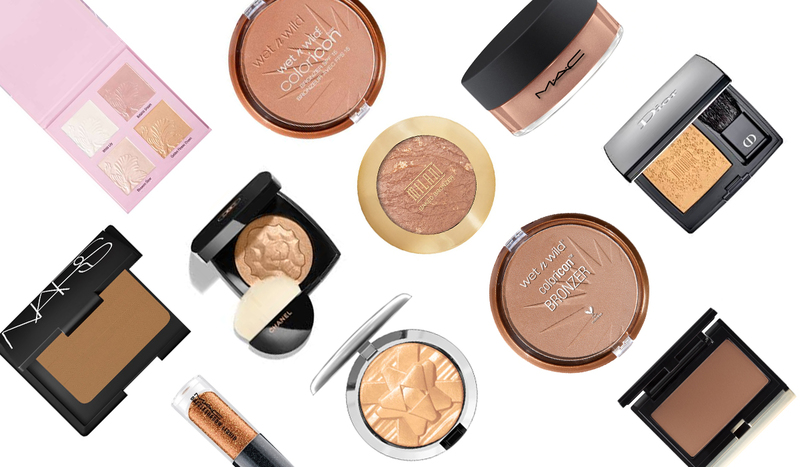 There is only one way to get a bronzed glow this summer and that’s the cheat’s way. The great thing about adding a bronzer in summer is that you can get away with a bit more sparkle and a deeper colour to blend in with the self-tan you are no doubt using - beautyheaven showcases some of the prettiest bronzing palettes on offer this summer. bh loves: Wet n Wild Coloricon Bronzer, $12.99; Dior Rouge Blush in Midnight Wish, $93; MAC Extra Dimension Skin Finish in Oh Darling, $64; Kevyn Aucoin The Sculpting Powder, $70; MAC Iridescent Powder in Golden Bronze, $60; MAC Dazzle Shadow Liquid in Blinking Brilliant, $46; Chanel Le Lion De Chanel Illuminating Powder, $112; Wet n Wild Coloricon Megaglo Highlighting Palette, $24.99; NARS Bronzer in Casino, $63 and Milani Baked Bronzer in Dolce, $18.99. Little and lightly is the best approach when it comes to wearing bronzer – using a large powder brush will ensure you get an even light coverage of colour that will look natural and believable. If you are opting for a subtle finish, choose a bronzer which is matte rather than too shimmery –this will give your skin an all-over flush of bronze without drawing too much attention to your overall look. A matte bronzer is a great tool for contouring. Using a chiselled brush, apply a line of powder just under your cheekbone and blend in – this will create depth in that area helping to make your cheekbones pop. A lighter bronzer can become the perfect highlighter – dust over areas such as above your cheekbones, down the bridge of your nose and even just above your cupids bow. Bronzers like this needn’t only be reserved for your face – sweep the powder down your décolletage and even your arms if the rest of your body is feeling a little pale in comparison. I actually love the wet n wild products, they are so affordable and are definitely good value for money.